Jenn from Jenn Cuisine and Jill (Jillouci) have challenged The Daring Cooks to learn to perfect the technique of poaching an egg. They chose Eggs Benedict recipe from Alton Brown, Oeufs en Meurette from Cooking with Wine by Anne Willan, and Homemade Sundried Tomato & Pine Nut Seitan Sausages (poached) courtesy of Trudy of Veggie num num. While I’ve poached many an egg in my day (I even know how to do it in the microwave), I have actually never made eggs benedict, so I took this opportunity to try it out. 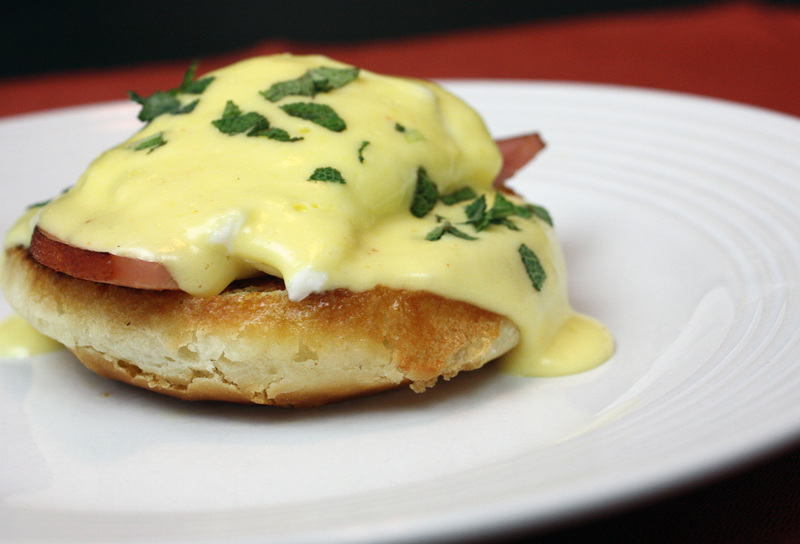 It’s one of my favorite “classic” breakfast dishes, and I’ve neglected to make it on a weekend morning, simply because in my head, I felt that making hollandaise was “too fussy” and would take too long. Another great Daring Cooks challenge complete! Thanks to Jenn and Jill for this easy and delicious challenge! Fill a medium saucepan halfway with water and bring to a simmer. Cut the chilled butter into small pieces and set aside. Whisk egg yolks and water in a mixing bowl large enough to sit on the saucepan without touching the water (or in top portion of a double boiler). Whisk for 1–2 minutes, until egg yolks lighten. Add the sugar and whisk 30 seconds more. Place bowl on saucepan over simmering water and whisk steadily 3–5 minutes (it only took about 3 for me) until the yolks thicken to coat the back of a spoon. Remove from heat (but let the water continue to simmer) and whisk in the butter, 1 piece at a time. Move the bowl to the pan again as needed to melt the butter, making sure to whisk constantly. Once all the butter is incorporated, remove from heat and whisk in the salt, lemon juice, and cayenne pepper. 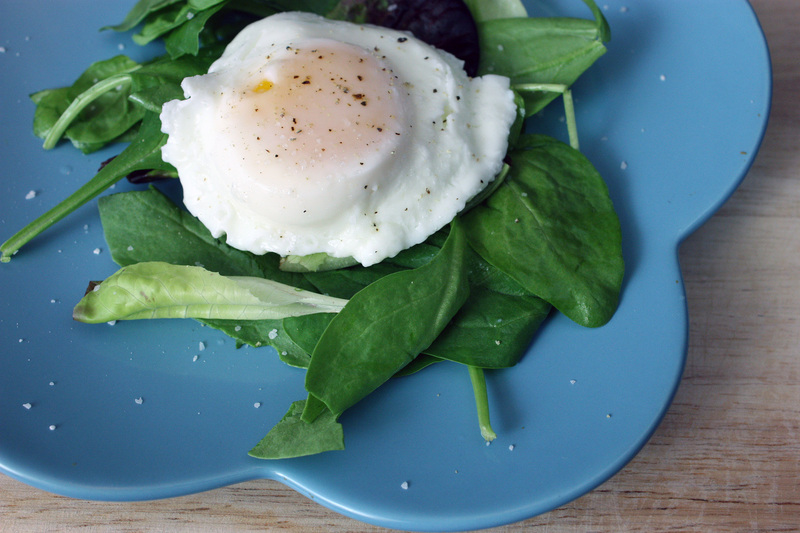 Keep the hollandaise warm while you poach your eggs. Crack eggs individually into bowls. Fill a shallow pan with about 2 inches of water. Add salt and a splash of vinegar (any kind will do). Bring to a simmer. Slip eggs directly into the very gently simmering water, making sure they’re separated. Cook for 3 minutes for a viscous but still runny yolk. While waiting for the eggs, quickly fry the ham slices and toast your English muffin. Top each half of English muffin with a piece of ham. Remove the eggs with a slotted spoon, draining well, and place on top of the bacon. 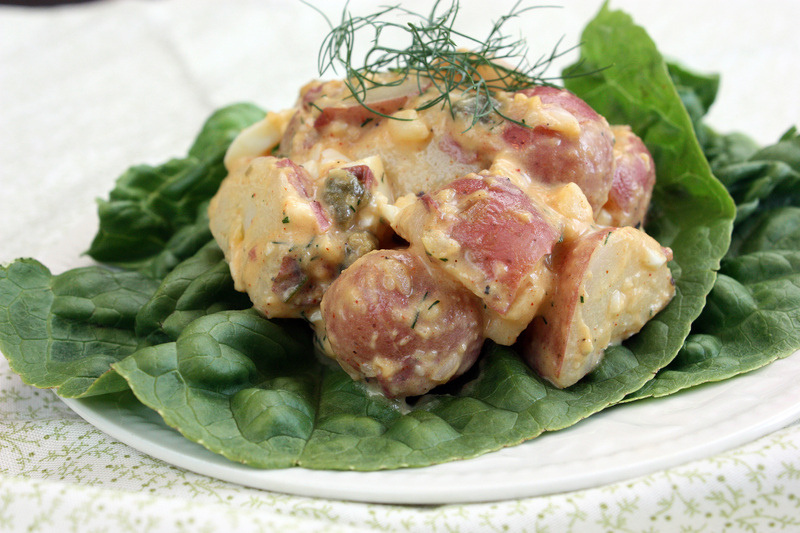 Top with hollandaise and garnish with chives or chopped sage, and enjoy! 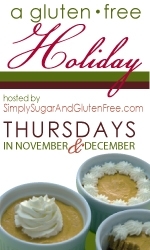 Can you believe we are in our 5th installment of Gluten-Free Holiday? Time flies, I tell you! This week we are celebrating over at Ginger Lemon Girl and sharing recipes for holiday breakfast and brunch. I can’t wait to check out what recipes have been shared. But even more exciting are the books that are up for grabs this week! 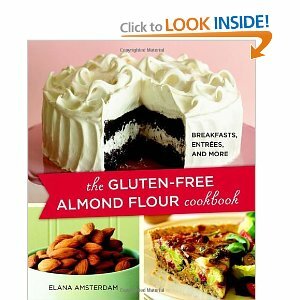 There will be 4 copies of Elana Amsterdam’s The Gluten-Free Almond Flour Cookbook and 3 Elana’s Pantry totes. 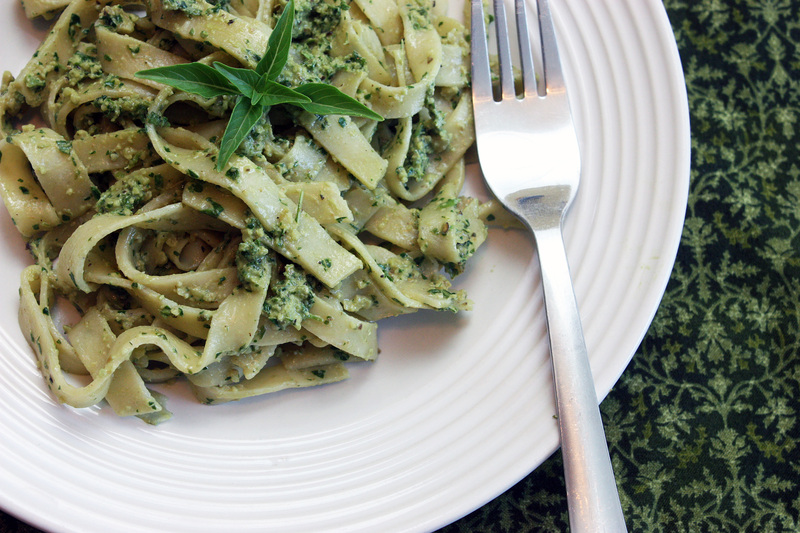 I own this book, and love it – the recipes are simple, straightforward, and delicious! 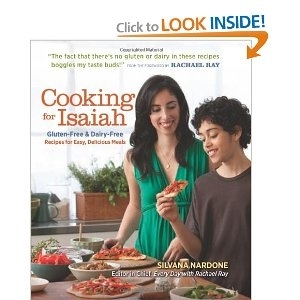 2 copies of Cooking For Isaiah by Silvana Nardone – a book I have yet to get my hands on, but can’t wait to check out! 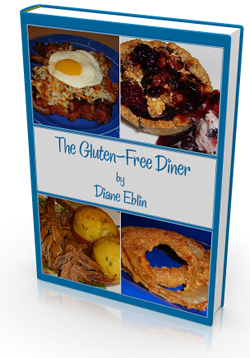 And 3 copies of Gluten-Free Diner by Diane Eblin of The W.H.O.L.E. Gang – another wonderful book I’m proud to own. She serves up delicious comfort foods in this book. This week’s recipe links are of particular interest to me. Why? Well, our family doesn’t typically put much thought into holiday breakfasts. Christmas morning is a frenzy of emptying stockings from Santa, opening gifts, snapping photos of bed-head kids tearing apart wrapping paper, and bargaining with them on how many chocolates (from their stocking) they can eat for breakfast. (Usually it’s just 1 piece, and hey, it’s twice a year they get candy for breakfast!) If we’re not dashing off to someone else’s house to celebrate, then I might whip up a breakfast, but it’s not much different than any other weekend breakfast. 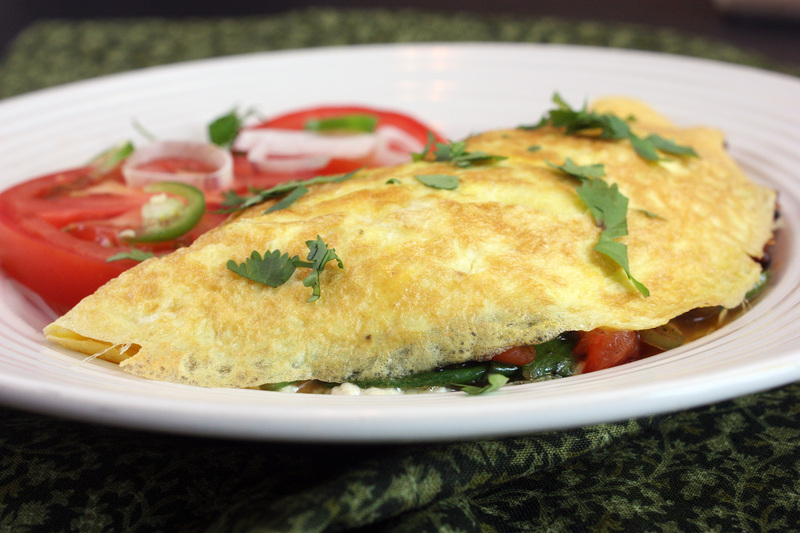 The favorite among our kids is breakfast tacos (called taquitos around here – not sure why! ), which is just a simple mix of scrambled eggs, bacon, sausage, and cheese. Most of the time, I can pry the kids away from their new gifts for 5 minutes to gobble some of these down. This year, however, I might actually plan ahead and start a new tradition – we’ll see! Check out the recipe for breakfast tacos/taquitos here! To make them dairy-free, I simply omit the milk and use Daiya cheese, if I have some. Otherwise, I just omit the cheese – I don’t miss it anymore. Head on over to Ginger Lemon Girl and check out some amazing recipes for your holiday breakfast/brunch! While I’m no souffle expert, I have made a dessert souffle a few times (a banana, which I blogged about, and Gordon Ramsay’s chocolate recipe, which for some reason, didn’t make it on here!). So I wanted to try a savory souffle. Most savory souffles I’ve seen focus heavily on cheese. Since I don’t eat dairy, this seemed to be a bit of a challenge. 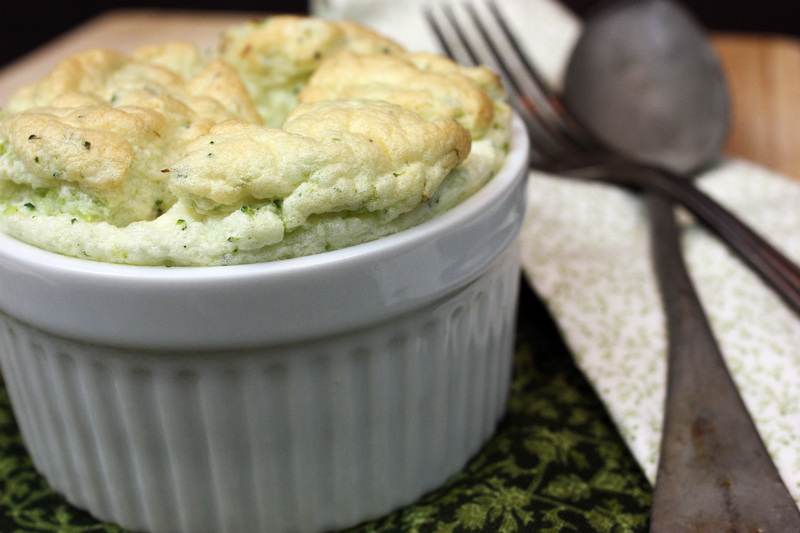 When I came across a recipe at Eating Well for a broccoli goat cheese souffle, I thought perhaps that I could substitute Daiya for the goat cheese, and since there were other flavors included in the recipe, that it would still turn out well. It was an experiment, but when am I not up for an experiment? I doubled the Dijon mustard to boost the flavor, and substituted potato starch for the flour. It was great fun watching the souffles rise – I turned the light on in the oven and admired the show. (Conversely, it was not as much fun trying to capture photos before the souffle settled – from the first photo to the last, you can see the slow fall of the dish! Definitely a race against time.) We enjoyed our souffles with a steak, and they were a perfectly light and delicious counterpart. Next time, I might opt to increase the Dijon and broccoli even more to boost the flavor, but it was still a lovely dish. If you’ve never tried souffles before, and they seem intimidating, don’t be discouraged! They’re a lot easier than their reputation suggests. And even if they don’t rise as much as they should, you still have a lovely mousse to enjoy. This was a great Daring Cooks challenge! Preheat oven to 375 degrees. Coat 4 10-ounce ramekins with cooking spray. Place broccoli in a microwave safe bowl and cover. Microwave for 1 1/2 minutes or until broccoli is tender-crisp. Set aside. Melt oil in a medium saucepan over medium-high heat. Whisk in potato starch and cook, whisking, for 1 minute. Add non-dairy milk, Dijon mustard, thyme and salt and cook, whisking constantly, until thickened, 1-2 minutes. Remove from heat and whisk in Daiya and 3 egg yolks. Transfer to large bowl. Beat 5 egg whites in a medium bowl until soft peaks form. Add cream of tartar and continue to beat until stiff peaks form. Using a rubber spatula, spoon half of the egg whites into the milk mixture and gently fold in. Add the other half of the egg whites and the broccoli and fold in just until no white streaks remain. Transfer to prepared ramekins. Bake on a baking sheet until puffed, firm to the touch, and an instant-read thermometer reaches 160 degrees F, about 20 minutes. Serve immediately.